This one’s got something for everyone. Little known songwriter, a true story, major Country stars, hit songs, answers, sequels…. what more could you want? Lawton Williams, like many Tennessee teenagers, learned to play guitar. He never had any concept of a career in music until he meets Floyd Tillman while serving in WWII. After discharge, he recorded for several small labels as Slim Williams. In 1951 he signed with Coral, without much success. While under contract Coral, recording under his given name, he recorded for several smaller labels as Ed Lawton to even less acclaim. Then, while thinking about his military service in German, he wrote a song about a girl he knew there. 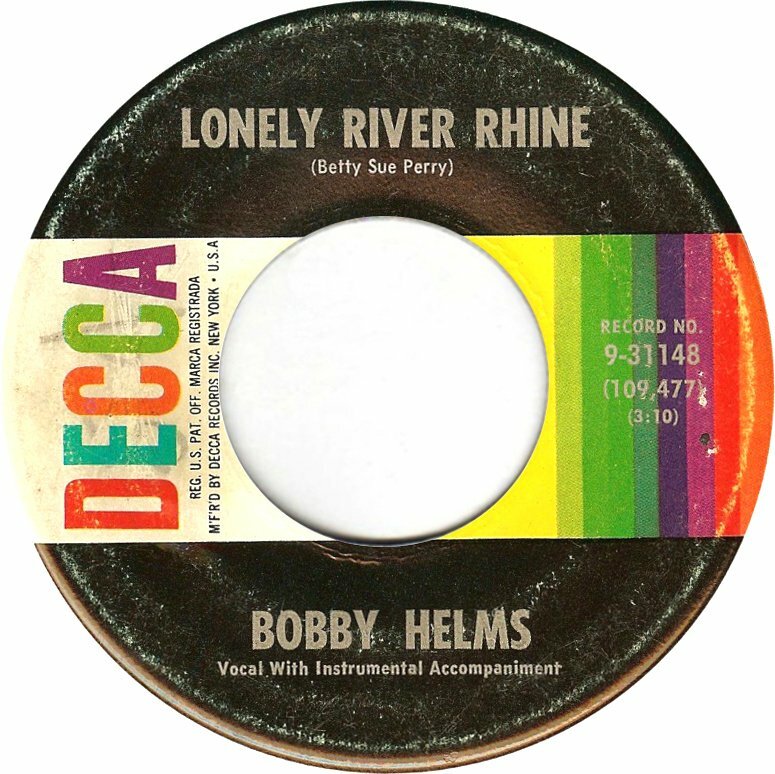 In 1957, Decca bought the song and placed it with a relatively untested singer from Indiana named Bobby Helms. He’d released a pair of singles previously and they’d gone nowhere. His recording of Williams “Fraulein” rocketed to #1 and stayed on the Country Charts for an amazing 52 weeks. It even got as high as #36 on the Pop Charts. 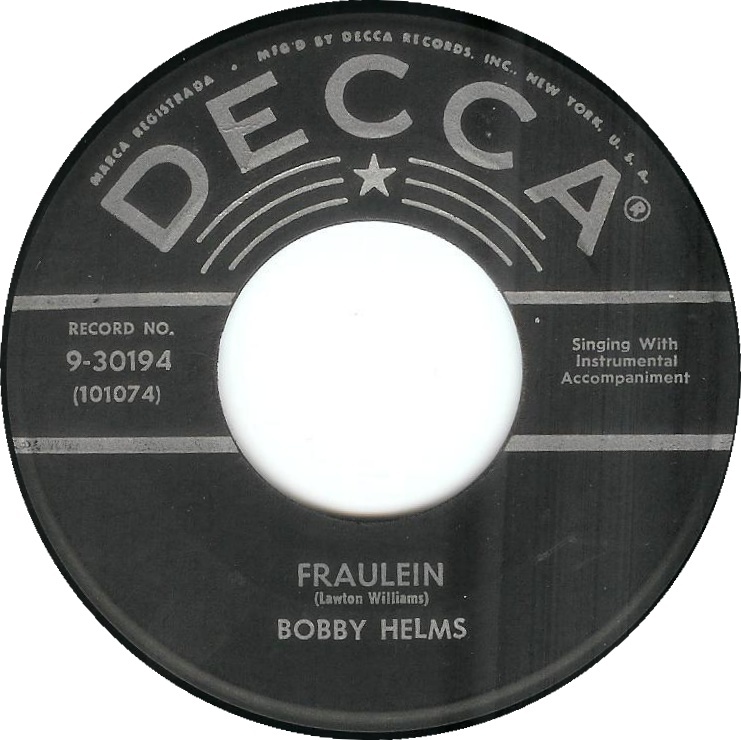 Seeing the success of Wells’ answer to his hit, Bobby Helms stated looking around for an answer song of his own to record. 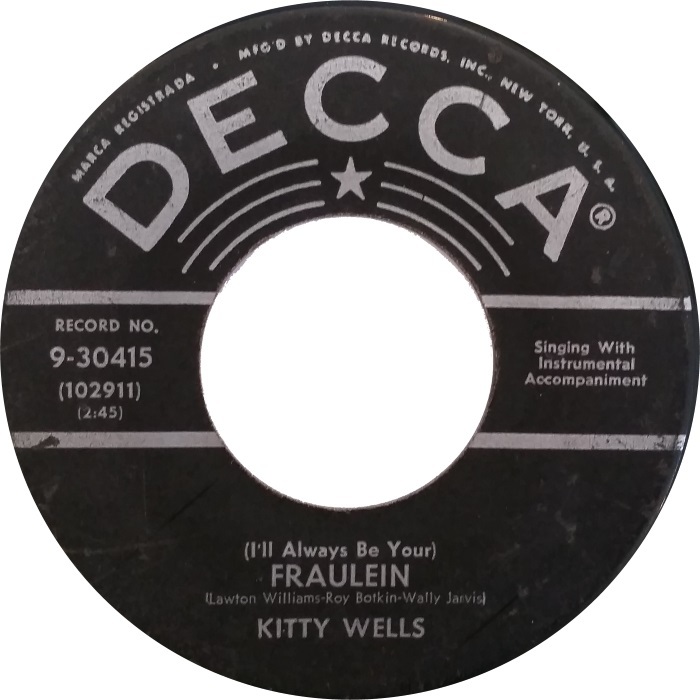 It took him three years but in 1960 he recorded this song by Betty Sue Perry. I don’t know anything about her other than the fact that she later had several songs recorded by Loretta Lynn. If you think this is a little dark for the charts, well, it topped out at #16 on the Country Charts and never made the Pop Charts. Back to 1957. By this time Lawton was an in demand songwriter. I can just hear the folks in Nashville. “Write us another one of them.” So he did. Taking his original formula, a soldier stationed overseas who falls in love with a local girl, he simply changed the location. RCA bought this one and placed it with Hank Locklin. 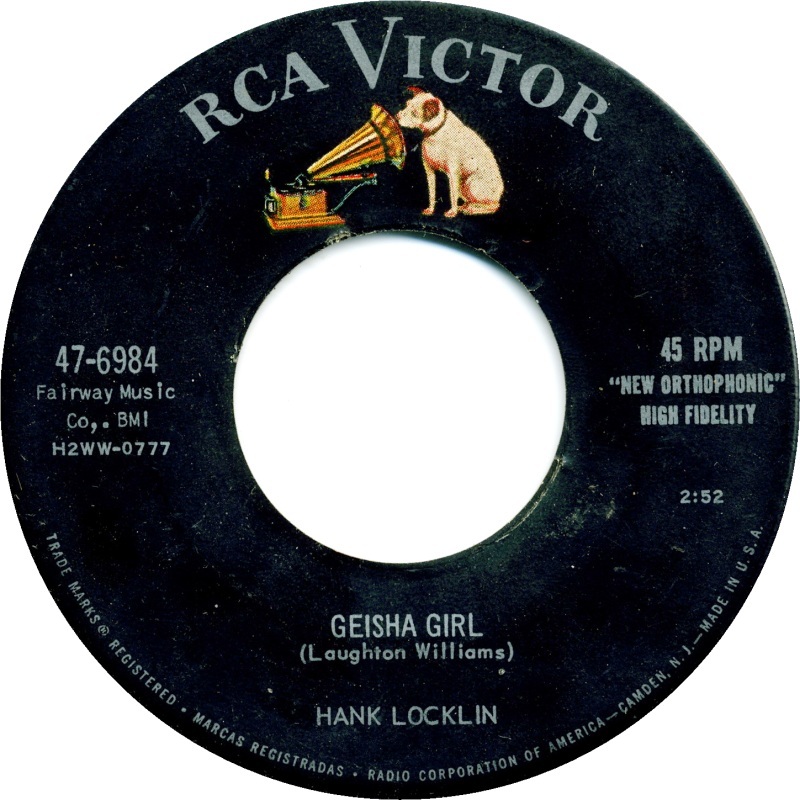 Though a song called “Geisha Girl” would probably never get recorded today, it was a different time and the song hit #4 on the Country Charts and even made the Pop Charts topping out at #66. 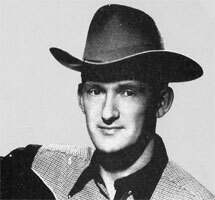 Locklin was one of the last of the Honky Tonk guys. By this time Country had lost its Western and was starting to get smooth. Hank didn’t. He played Honky Tonk, that’s what he did, and he continued to do it. That’s the reason that he’s #4 on my list of favorite Country Music Hanks, after Williams, Snow, and Thompson. 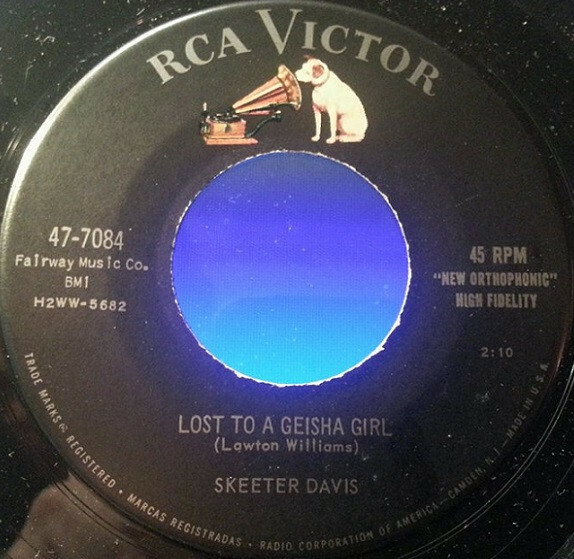 Though Davis’ “Lost to a Geisha Girl” was by no means a “classic” it found it’s way on to “Country Guitar Volume Two” along with songs by Don Gibson, Jim Reeves and Hank Snow. This was a series of four song EPs, issued in the UK by RCA, in an attempt to introduce Country Music to British audiences. This, my friends, is cultural imperialism at its finest. Too bad they didn’t do the reverse as well, and issue some of the wonderful English Country Dance EPs they did in the 60s, in the states. Next – One of the most incongruous songs in the Johnny Cash catalog.